Spring is finally here! If you are hosting a get-together with family or friends in the coming months, you may be looking for easy, festive appetizers to serve. Here are a few easy spring appetizers you can serve at the next event you are hosting. In spring, you want items that are light and comforting. Roll-ups are simple to make, easy to customize, filling and light, all at the same time. Grab a tortilla and add your favorite ingredients, such as avocado, hummus, turkey, ham, cheese and/or tomatoes. Roll the tortilla up and slice it up. If needed, grab a toothpick to hold it all together. Mix and match different ingredients to create a yummy snack for your guests. 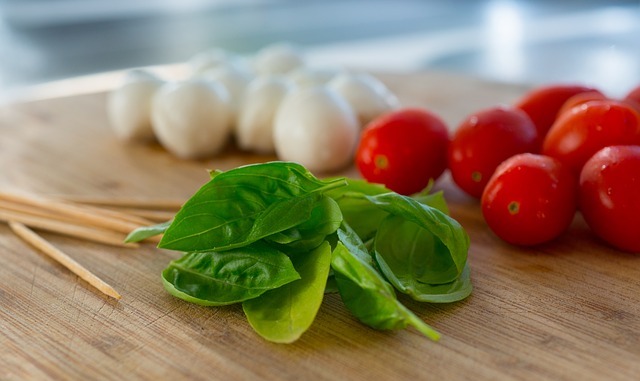 Caprese is a popular and yummy appetizer. It is perfect for spring and summer, as it is light and refreshing. To create a twist on this classic appetizer, use baby tomatoes and tiny mozzarella cubes. Cut a baby tomato in half. Place the top on a toothpick, followed by a mozzarella cube, followed by the bottom of the tomato. Drizzle with a mixture of olive oil, balsamic vinegar and salt to complete the appetizer. Deviled eggs are a springtime staple. You can stick to making these delicious treats in a traditional manner, or look online to find recipes that kick things up a notch. There are recipes that include throwing in peppers and jalapenos for a spicy kick to a traditional favorite, or recipes that include adding chicken or crab to up your protein intake. Do you love to entertain but don't love the space you currently entertain in? Finding a new place to live may be in order. If you are looking for apartments for rent in Flagstaff, Arizona, be sure to check out Woodlands Village Apartment Homes. We offer beautiful apartments that you will be proud to host your next event in. Contact us today to inquire about pricing and availability.